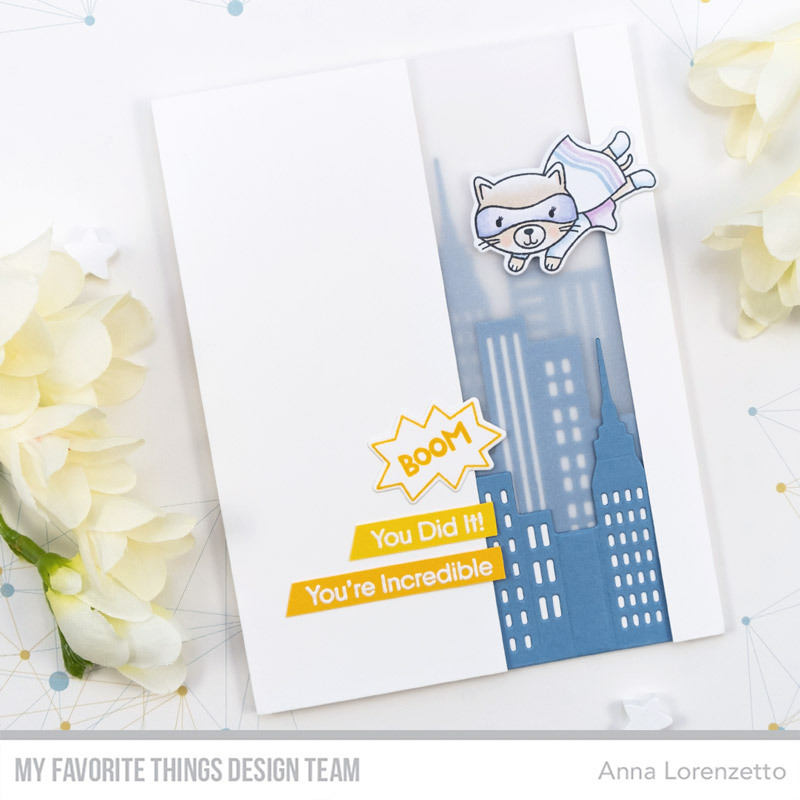 Today I’m sharing a card for the MFT Wednesday Sketch Challenge 432 featuring the adorable Super Cat stamp set along with the awesome City Block Die-namics. To start, I colored one of the adorable super kittens with my Copic markers and cut it off using the coordinate die. Then, I created a metropolitan background for my scene and used the City Block Die-namics to die-cut the city skyline several times out of Blue Yonder card stock. I trimmed each row of skyscrapers down and create a multi-level background, placing a vellum layer between each row to achieve a fading effect. I heat embossed the sentiment in white on a couple of strips of Lemon Drop and Pineapple card stock and mounted them on my card base to complete the card. It’s your turn now! I hope you’ll play along with us! 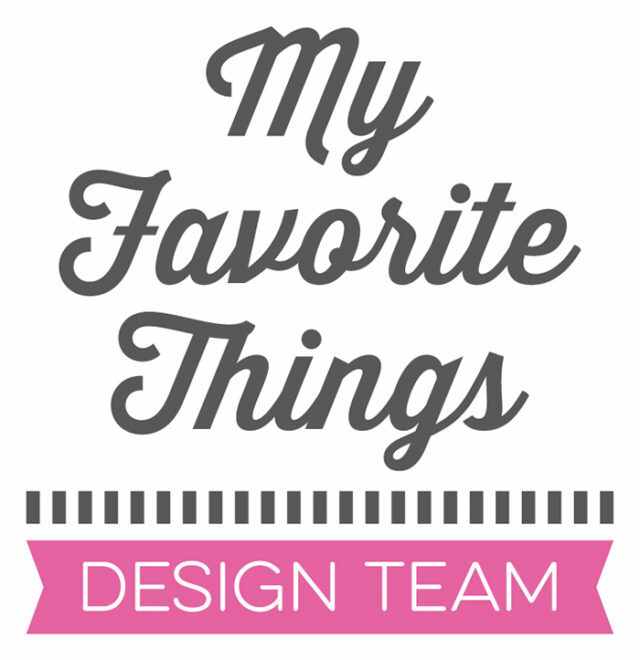 Check out the MFT Blog for all the details about the sketch challenge and more inspiration from the DT.